Kulsum is an award-winning advocate, attorney, speaker, trainer, and systems-thinker. She is interested in community-centered Urbanism, public-design, creative advocacy, social enterprise, and migration. After years of experience, she is eager to explore interdisciplinary approaches. Professor Depaul Immigration and Asylum Clinic. A community-based artist and activist, Cassie Hamrick engages an interdisciplinary practice rooted in social justice. Alongside her work in sculpture, fibers, photography, and experimental performance, she has designed and facilitated art-based initiatives and art therapy programming for diverse age groups in a variety of settings including transitional housing communities, public schools, and local service agencies. 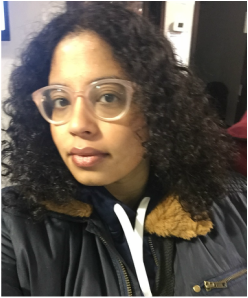 Cassie is particularly dedicated to addressing issues of power inequity through intersectional and trauma-informed community praxis, and is currently pursuing a Master of Arts in Art Therapy at the School of the Art Institute of Chicago. Ji Hye Kim, received Juris Doctorate degree from the UNIVERSITY OF WASHINGTON SCHOOL OF LAW in 2008 and has worked with low-income individuals and families, as well as immigrants and refugees, in various capacities. Prior to law school, Ji Hye worked for theSARGENT SHRIVER NATIONAL CENTER ON POVERTY LAW, where she managed a community economic development program and facilitated train-the-trainer workshops on a financial literacy curriculum for social service agencies. As a law student, Ji Hye clerked at theNORTHWEST JUSTICE CENTER in Seattle, Washington, assisting low-income immigrants and refugees with public benefits issues. With passion for serving underprivileged immigrants, Ji Hye joined KAN-WIN in 2010 to manage the agency’s legal advocacy program, and in 2013, became the Associate Director. Nicole Lopez is a software engineer interested in using technology for the benefit of communities. Previously working in the field of immigration, she’s interested in all things international. Immigration attorney, Lifespan Center for Legal Services & Advocacy. ​Alicja holds a BA in Peace, Justice, & Conflict Studies and Community Psychology from DePaul University. Through her studies and experiences working with a variety of nonprofits Alicja has gained expertise in event planning, fundraising, program management and development, mentorship, academic tutoring, outreach, training and facilitation as well grant management. Alicja Kania is a Human Resources Analyst at Northern Trust where she works on global talent programming such as engagement and onboarding. Prior to joining Northern Trust, she served as an AmeriCorps VISTA Outreach Coordinator and as an AmeriCorps Leader at LAF. Alicja also considers herself an expert cake baker and hopes to one day throw a symmetrical and decent looking bowl on a pottery wheel. Alicja is the first-generation daughter of Polish immigrants and speaks Polish fluently. ​Seble Ayalew is the child of immigrant parents from Ethiopia. She has a passion for working with children, but especially those from refugee and immigrant families. Seble is interested in community building projects and is very involved with surrounding non-profit organizations. ​Carina Hoyer is the Project Manager for Project Prospera. She is a gradute from DePaul University with a degree in Geography. She is a "feminist geographer" interested in exploring the nexus between geography, emergent technologies, and gender. She has also travelled extensively around the world. Her academic, volunteer, and professional experiences reflect her passion for environmental justice, peace studies, and social change. Hiba Ali is a new media artist and writer based in Chicago, Illinois, United States. She holds two undergraduate degrees from the School of the Art Institute Chicago with a Bachelor of Fine Arts in Film, Video, New Media and Animation and a Bachelor of Arts in Visual Critical Studies. Her research focuses on how diverse populations utilize digital technology in ways that empower the community. She joined Project Prospera as the Digital Storytelling, Research, and Film Coordinator in December 2015 and is involved with civic engagement and immigrant outreach projects. She is also a volunteer with the South Asian American Policy Research Institute. Marlena Reimer is a writer, artist and organizer born and raised in Fresno, California, now based in Chicago, Illinois. She holds a B.A. in Peace and Conflict Studies from the University of California, Berkeley and a M.SW. with a concentration in Community Organizing and Advocacy from the University of Michigan - Ann Arbor. Her interests include youth media, art and culture-driven organizing practices and transnational and community-based storytelling. She joined Project Prospera in February 2016. Christina Soibatian is a doctoral student pursuing her Ph.D. in Clinical-Community Psychology at DePaul University in Chicago. Her work focuses on empowerment and collaborative interventions for domestic violence and sexual assault survivors. Prior to joining DePaul, Christina served victims and their families working as an advocate for the Victim-Witness Assistance Program in the Los Angeles District Attorney’s Office. She also received domestic violence training and volunteered as a counselor at a women's shelter in Los Angeles. She received her Bachelor of Arts in Psychology with a minor in Civic Engagement from UCLA in 2011. Christina is a first-generation daughter of Armenian immigrants, and speaks Armenian fluently.